The incredible debut of John Martyn – a set that's surprisingly spare and stripped-down compared to later work, but which already shows that genius that set Martyn apart from most of his contemporaries! The approach is similar to the style used with contemporaries Bert Jansch and John Renbourn on some of their mid 60s albums – but Martyn's already got this jazzy sensibility in the way he puts the tunes together, which inflects his folksy expressions in ways that are more like Nick Drake – although with a very different song structure and lyrical sensibility. 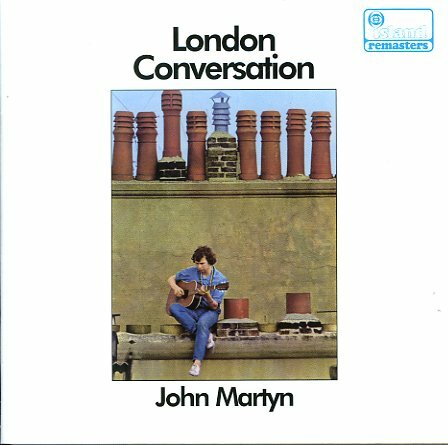 John's maybe a bit more confident in his approach, although no less revolutionary – and at a time when more subtle sounds like this would have been lost in the US scene, London Conversation went on to create quite a longstanding ripple on its home turf. Titles include "Who's Grown Up Now", "Fairy Tale Lullaby", "London Conversation", "Sandy Grey", "Ballad Of An Elder Woman", "Cocain", "Back To Stay", and "This Time". CD also features the bonus track "She Moved Through The Fair". © 1996-2019, Dusty Groove, Inc.